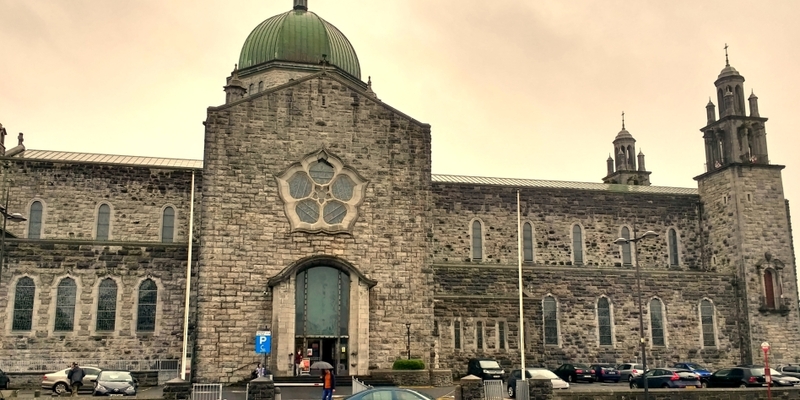 Continuing our tour of Ireland today we saw thatched roof houses at Adare, then the scenic “Cliffs of Moher,” and then on to Galway, concluding with a brief stop at the Galway Cathedral. I found it interesting that inside the cathedral in the Mortuary Chapel there was a mosaic of President John F. Kennedy (by Patrick Pollen). 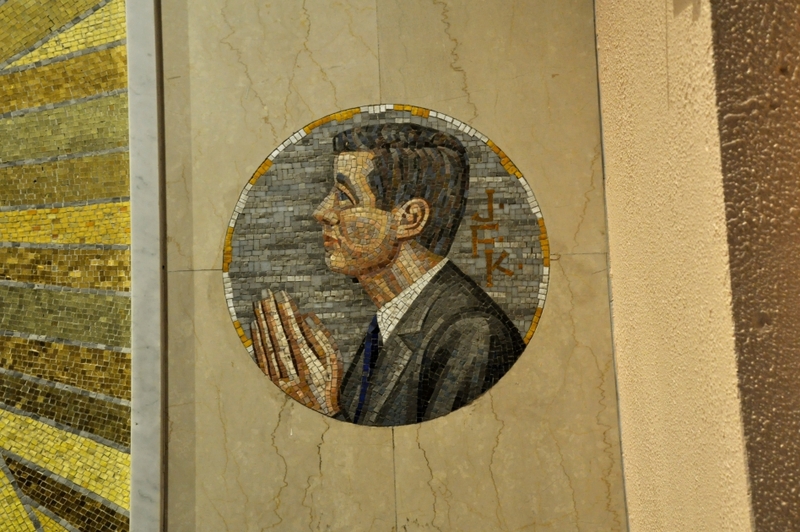 Mosaic of President John F. Kennedy, Galway Cathedral, Galway, Ireland. Photo by Leon Mauldin. President John F. Kennedy visited Ireland June 26-29, 1963, five months before his assassination. That visit included Galway (June 29, 1963), where we are tonight. Every indication is that his visit was well received by the Irish people. There is an amazing amount of video documentation (YouTube) of his 4 day visit to Ireland, including here (Galway). Galway Cathedral, Galway, Ireland. Photo by Leon Mauldin. Thanks for following our travels! Click images for larger view. This entry was posted on Friday, October 13th, 2017 at 3:35 PM and is filed under photography, Tours, Travel, Uncategorized. You can follow any responses to this entry through the RSS 2.0 feed. You can leave a response, or trackback from your own site.